What an adorable end table. 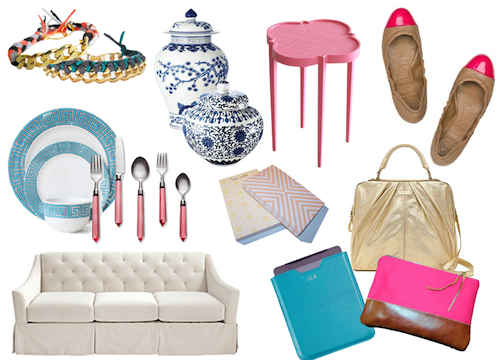 I need a little pink in my room - just a pop of color to give it some attitude. Hope you have a lovely weekend. By the way - I am jealous of your fabulous photoshop skills! Hehe. what a pretty collection of beautiful things! Love pretty much everything! I love the splashes of pink. We all need a little more pink in our lives! me too me too! :) i also love the font that 'love' is in. so nice! it is great! thank you for your sharing! I am in love with all of those things too now! Thanks for sharing!